St. Louise de Marillac was formed in July 1955 to serve the people living in the northern part of Brookfield and the eastern part of LaGrange Park. The cornerstone of our main school building was laid in 1956 (with two later additions to the building in 1960 and 1962) and the cornerstone of the church was laid in 1957. In the summer of 2003, construction began on the latest addition to St. Louise, a 7,800 square foot Parish Center that was completed in May of 2004. The founding pastor, Father Cletus Lynch, served from 1955 until 1976. The fifth and current pastor, Father Denis Condon, has served the people of St. Louise de Marillac since September of 2010. St. Louise de Marillac Parish is a Catholic community worshiping together, striving to live as children of the Father, to follow the example of Jesus, faithful to the leading of the Holy Spirit, where each member has a deep personal faith and commitment to prayer. We are people challenging each other to grow, to be open to God’s call, to go beyond what is comfortable. We are a people experiencing hospitality and warmth in a friendly, welcoming community. We recognize that people have different gifts to offer and are at different stages of their faith journey and we provide spiritual and educational support. We have an evangelizing and caring spirit supporting individual and family life and their role in faith formation. We accept all people with compassion that heals hope and are willing to act for social justice and peace. We offer our gifts of faith to all and use our gifts of time, talent and treasure. Alcoholics Anonymous - no dues or fees but times and locations vary. The only requirement is the desire to stop drinking. BEDS Plus - host on Sundays from 7 PM - 7 AM in the Colonnade Room in an effort to end homelessness. Individuals and families are provided with a safe place to sleep in addition to two meals. Guardian Angels Prayer Group - Monday mornings following mass to pray for the safety and protection of all children. Medical Missions - medical supplies and other necessities are collected on Saturday mornings from 9-11 to be given to Sharing Connections of Downers Grove. Rainbows for All God’s Children - peer support group for parish schoolchildren to help them cope with a death or divorce in the family. Respect Life Committee - works under the Chicago Archdiocesan Respect Life Office to promote greater respect for the dignity and sanctity of human life in all conditions and stages of development. Social Action Ministry - past and current projects include fund-raising for Catholic Relief Services, lobbying for welfare reform, and organizing parish food drives. SPRED - program that works with developmental disabilities and helps them integrate faith into their lives. 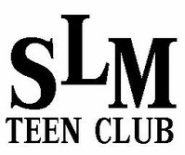 SLM works with students aged 17-21; other parishes work with all ages. St. Vincent de Paul Society - helps parishioners in need through assistance with receiving food, clothing, or money. Those in need can contact a Society member. Prayer Shawl Ministry - group members knit and crochet prayer shawls to be given to those facing challenging times or to celebrate a special moment. Giving Tree - benefits those in need at Christmas including members of other churches, B.E.D.S. Plus, and St. Vincent de Paul Society by purchasing gifts for them. Employment Network - sponsor networking events where those seeking employment can meet others who know of employers searching for candidates to fill open positions. Ministers of Care: members visit, pray with, bring Holy Communion to those parishioners who are homebound. In addition to homes, members will make weekly visits to The Groves of LaGrange Park, the Cantata Adult Life Services in Brookfield and the Adventist La Grange Memorial Hospital. Holy Name Society/Men’s Club: a parish organization whose membership is comprised of all men of the Parish. Throughout the year, they sponsor Pancake Breakfasts and Card Parties as parish social activities. There is no membership fee and meetings are held on an as-needed basis in conjunction with events to be held. Hospitality Committee: consists of dedicated women who volunteer to host parish fellowships and special receptions. Catholic Women's Organization (CWO): purpose of the CWO is to assist the pastor in furthering the spiritual, material, and social interests of the parish. CWO sponsored events include the Rummage Sale, Fashion Show, Breakfast with Santa, Bake Sales, Medical Mission, Coat Drive, Oktoberfest Raffle, and a gift drive for Misericorida residents at Christmas time. St. Louise has two youth groups for teens in junior high and high school. Youth ministry at St. Louise de Marillac Parish exists primarily to give teens a sense of ownership and belonging to the parish and the Catholic faith. Teens can sometimes feel left out of the larger parish family; however, through the St. Louise youth ministry, it is the hope to provide a place in the parish that is uniquely theirs. Activities consist of social, spiritual, and service-oriented events. These include involvement with the larger parish family through events such as Pastoral Council representatives, lectoring, serving as altar servers, pastoral musicians, and planning the parish picnic. There are also many unique activities for the teens such as lock-ins, a 30-Hour Famine, the National Catholic Youth Conference, and haunted house. Next year, male teens will possibly join forces with the teens of St. Mary's in Riverside to form a combined team in Church League Basketball. Music Ministries: St. Louise de Merillac offers two choirs, the Children's Choir for students in Grades 4-8 as well as the Teen Choir for current high school and college students. Both choirs will sing at least one Mass per month as well as special Masses such as the Christmas Eve Family Mass and the Easter Vigil. Students are encouraged to join for a fun, musically-enriching, and spiritually rewarding experience. St. Louise de Merillac Athletics: students in Grades 5-8 can participate on the Panthers' basketball, soccer, and volleyball teams if they are academically eligible. The goals of the program include giving students the experience of being part of a team, helping students develop good health through physical fitness, encouraging self-confidence and cooperation, and teaching the proper attitude of competing with dignity. Altar Servers: students of St. Louise or the Religious Education program in Grades 5-8 are eligible to serve as altar servers. The responsibilities entrusted to these young people are significant to our celebration of the Eucharist, not just on Sundays but every day of the week and also at weddings and funerals. These Ministers of the Altar provide dignity and flow to our celebration of each Mass. Student Council: officers and members are an integral part of St. Louise School. Students in Grades 6-8 accept responsibility for countless service projects. They collect food and other items for local missions, help the principal with projects, and lead liturgies for the student body. The Council also plans the annual Olympic Day festivities for all students and works on several fundraisers each year.